R30 per person includes a free local beverage, i.e. beer/cider/glass of wine, soft drink, water. 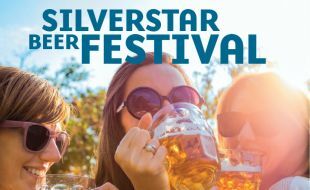 Join us at the Silverstar Beer Festival taking place on the Square on Saturday, 10 November and Sunday, 11 November 2018. Enjoy live entertainment and take part in the games whilst sipping an ice cold beer. There will be loads of giveaways up for grabs. The Silverstar Beer Festival is the perfect way to start your festive season. Tickets are limited, secure your booking now for this not-to-be-missed beer, music and food affair.